Helping People Save Lives — Everyday! 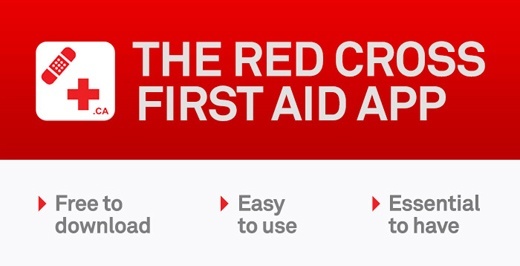 The official Canadian Red Cross First Aid app puts lifesaving advice in your hands. Available for Apple and Android mobile devices, the app helps you maintain your first aid skills and respond to everyday emergencies. By downloading the app on your smartphone or tablet, you get instant access to videos, interactive quizzes and simple step-by-step advice to help you maintain your life-saving skills and respond when needed. Download the app to keep lifesaving help in your hands. Remember, you can always view our training and informational videos like the one below on our YouTube channel. Canadian First-Aid Training is a Manitoba leader for basic & advanced Canadian Red Cross and Heart & Stroke training as well as Automated External Defibrillators (AED) sales and service. Website ? copyright 2018, Canadian First-Aid Training. All rights reserved.